A hit and run accident is just what the phrase implies. Another motorist strikes your car or hits a bicyclist or pedestrian and instead of stopping to determine if anyone is injured and exchanging license, insurance and registration information, the driver flees the scene. We have represented many victims of hit and run accidents. Uninsured coverage is critical in these cases. In many of these cases, the drivers panic because they do not have a valid driver’s license as a result of a revocation or suspension, are uninsured, have an outstanding warrant, are driving a stolen vehicle or they are intoxicated. Others may fear immigration consequences if they are undocumented aliens. Some motorists may have been so inebriated that they may not have realized they were in an accident. There is no requirement that the hit and run driver’s car have contacted the victim’s car for there to be criminal if not civil liability. For instance, if the motorist is driving recklessly and causes your car to swerve and you strike another car, person or object and the motorist leaves the scene of the accident, then that motorist may have violated the law and may have been negligent. Causing an injury accident and not taking responsibility by leaving the scene is treated as a serious criminal offense in Massachusetts. Civilly, you can lose your driver’s license for at least one year and pay up to $1,000 as a fine. You also face a mandatory minimum jail sentence of 6 months, though it may be suspended in some instances. 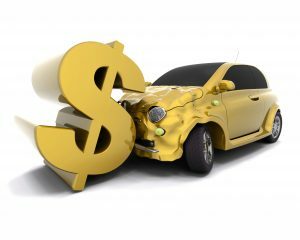 Unlike a typical car accident claim, hit and run claimants must look to their own auto liability insurance policies for compensation under the uninsured motorist provisions (UM) in their policies if the hit and run motorist cannot be located or that motorist lacked insurance coverage. Passengers, pedestrians and bicycle riders can also look to their own insurer for UM benefits provided they possess such coverage. In Massachusetts, the minimum UM coverage is $20,000 per person and $40,000 per accident. This is frequently insufficient. Secure more coverage. Uninsured coverage requires that you negotiate your damages with your own insurance company. Even though it is your own insurer, you are now in an adversarial position with your insurer who does not have your best interests in mind. Should you be unable to settle your injury claim, the insurer will refer your UM claim to its own legal counsel to defend itself and to minimize the value of your claim. Arbitration, as opposed to litigation, will ensue and will include the usual discovery such as the obtaining of relevant medical, employment and other records, medical reports, witness statements, police reports and investigation records. Instead of your matter going before a judge and jury, however, your claim will go to binding arbitration. Although the rules of evidence may be somewhat relaxed, you still must meet certain evidentiary and foundational requirements for your damages to be considered. You need an aggressive, experienced attorney to prepare for, and undertake, arbitration. An experienced car accident lawyer is essential in these matters if you wish to collect the most compensation available for your claim. Too many times injured claimants attempt to settle their UM or other injury claim with their own or the adverse party’s insurer. 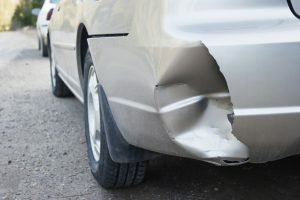 In hit and run cases in which the claim is under your own UM policy, you still have to provide valid evidence of the nature and extent of your injuries, documentary proof of your damages and be able to prove liability by the hit and run driver. If you think that handling your own claim will save you money, consider that studies overwhelmingly demonstrate that injured claimants who retain car accident lawyers receive far more compensation than those who do not, even accounting for legal fees. Neil Burns & Roshan Jain have been representing injured claimants in hit and run and UM cases for over 25 years and has successfully obtained full compensation for numerous clients. Contact them today at (617) 227-7423 for a free and confidential assessment about your injury claim or go to to learn more.